power distribution and branch circuit protection for the 30-Amp rated devices. Branch circuit protection is accomplished via UL-listed Bussman SC fuses for compliance with UL/CSA/EN 60950-1 standards. 50/60Hz 20A IEC 60320/C20 Power Inlet** (12) NEMA 5-20R 17"x1.75" x 2.25"
A horizontal rack that occupies 1U of rack space in the equipment cabinet. 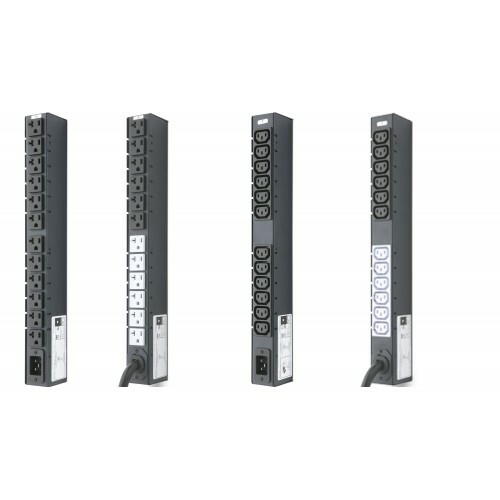 The STV-3101 product family provides high functionality in a 30 outlet smart PDU. 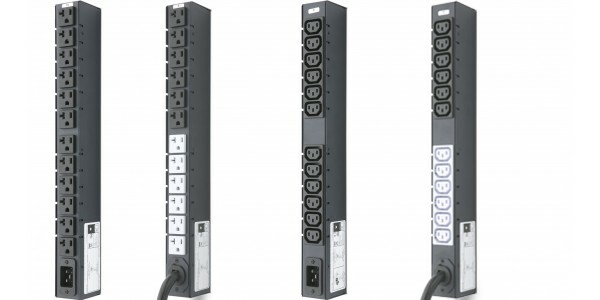 The Power Pivot flexible infeed provides simplified power cord routi.. The dual input, dual output Smart Power Monitor allows the ability to easily add input current load and power monitoring to any existing cabinet via a..